Climate change is California Gov. Jerry Brown’s “crusade,” his jihad, his holy war. Yet Gov. Brown’s climate change and drought policy is flooded with a manic madness – never has his manic obsession with climate change it been more evident. In March on Meet the Press, after declaring Ted Cruz unfit to run for president because of his views on climate change, Brown said, “We are running out of time because it’s not raining. This is a serious matter we’re experiencing in California, as kind of a foretaste. But there is no doubt that into the future, we’re going to have more problems.” Brown also claimed research shows a “connection” between California’s drought and climate change. California’s drought conditions are actually historically normal; water shortages are created by incompetent and scheming government. California’s recent drought was billed by government and media as the driest period in the state’s recorded rainfall history. However, scientists who study the Western United States’ long-term climate patterns say otherwise: California has been dry for significantly longer periods — more than 200 years at a time, and long before the industrial revolution. Last May, following a year of near-normal amounts of rain and snow, Gov. Jerry Brown ordered permanent urban water restrictions, including bans on hosing down driveways and using sprinklers following rain. Brown also reiterated mandatory permanent reductions in water use by cities. While California homeowners have had to parch their lawns and replace dead shrubs and trees with rock gardens, install low-flow dribbling shower heads and toilets (which require double the flushes), just to save a few extra gallons of precious household water, the government wastes hundreds of billion of gallons of water annually, letting it rush to the ocean to assist bait fish and baby salmon (which swim there anyway). While California farmers and ranchers have had their water cut off by a vindictive evil government, Jerry Brown doubled down on water restrictions and climate change madness. The mega-storms in California this month have provided more than 350 Billion gallons of water in the state’s reservoirs from this rain. Reluctantly, water officials and news media sycophants are finally admitting the drought is over. To prevent more flooding in Sacramento, California, the location of the confluence of the American and Sacramento Rivers, the state Department of Water Resources opened up 13 gates on the Sacramento Weir onto the Yolo Bypass as water releases from Folsom Lake are increased, and to maintain a consistent level of the Sacramento River near downtown Sacramento. There is widespread flooding in the region near the rivers. Yet Gov. Brown’s 2017-18 Budget priorities are climate change policy and spending, and the green economy, including another $2.2 Billion for the faltering cap and trade program, of which Brown promised to increase efforts to prop up. California’s go-it-alone venture into regional carbon markets has been a disaster, despite the grandiose promises otherwise. A recent auction of carbon credits brought in an embarrassing 2 percent of the revenues promised. Future auctions are also expected to fall short, largely because the creators of this false commodity don’t understand economics or the free market: there is a glut of carbon credit allowances, as well as legality issues plaguing the cap and trade scheme. Also last May, Gov. Brown signed a climate change compact (an illegal treaty) between 12 regional and provincial governments in seven countries, committing to reduce greenhouse gases which they claim cause global warming. Brown’s motive was to demonstrate California’s commitment to the rest of the country and world. Prior to that illegal compact, in 2015 I reported on the collusion between the California, Washington and Oregon governors’ offices, British Columbia and environmental groups, in the form of an illegal compact to force climate policy coordination and collaboration across the U.S. In November, following the presidential election, Gov. Brown said, “We will protect the precious rights of our people and continue to confront the existential threat of our time–devastating climate change.” This is Brown’s evangelism, despite how arbitrary, inconsistent and destructive environmental regulations have become, and how out of touch the lawmakers are who vote for them. Those who refuse to acknowledge that CO2, a colorless, odorless gas, is not a pollutant, and is however, an essential plant nutrient, are prevaricators, and also deny climate change has been occurring for more than 4 billion years. Climate change is about money; many world leaders are on record admitting it is about wealth redistribution. “It seems likely that oil and gas, chemical, agricultural and other industries will vigorously lobby the Trump Administration to join them in challenging a variety of California environmental statutes and regulatory programs on preemption grounds,” wrote law professor Richard Frank, Director of the U. C. Davis School of Law’s California Environmental Law & Policy Center. “And, depending on Trump’s Cabinet-level appointees, such entreaties may well get a positive response.” Frank explained that business interests have routinely invoked the Supremacy Clause in their litigation efforts to nullify California environmental programs over the past 40 years. Critics that slam agriculture for being “water hogs” won’t go unchallenged by Jeff Shields. The South San Joaquin Irrigation District general manager notes most critics distort how the pie of developed water sources is sliced. They leave off wildlife and similar applications such as court-ordered releases for fish runs and pump up the farm use percentage. By doing so, they complain that agriculture is using 80 percent of the state’s developed water supplies. That’s because critics conveniently equate wildlife applications as an extension of natural river flows. It isn’t the case since the additional storage for wildlife applications and fish flows would not exist if the state’s reservoir system hadn’t been built. 10.50 percent for urban uses. 31.22 percent for wild and scenic applied water. 8.61 percent to maintain in stream flow requirements. 7.97 percent for regulatory Delta outflows. 1.83 percent for managed wetlands. “During the last two years of the drought farmers haven’t gotten any water (from the two projects),” Shields told Manteca Rotarians gathered at Ernie’s restaurant. He noted many farmers such as those in the SSJID and Oakdale Irrigation District secured and developed water rights on their own dime and don’t rely on state or federal water projects. Shields noted critics also argue as if farm use has no essential purpose. “How do you think farmers would raise beef that you eat or your salads or cotton for clothing without water?” Shields asked rhetorically. El Nino — the wet weather pattern that California is being told will likely be in place this winter — is far from a slam dunk. And even if it materializes, it could leave much of the Sierra that’s critical for more than 60 percent of the state’s developed water supply relatively high and dry. 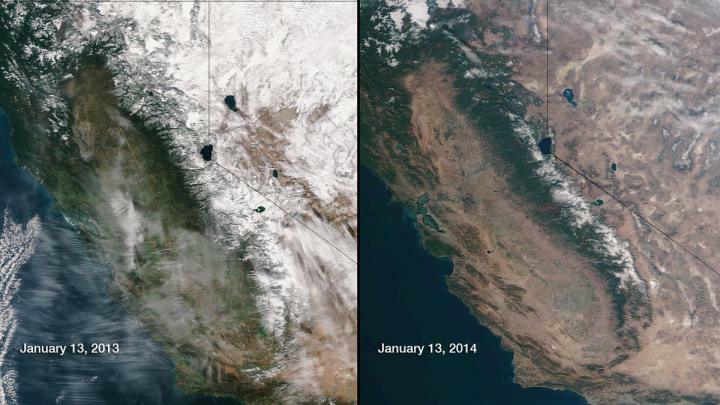 There have been previous El Nino weather systems that have even produced below normal rain and snow. It is why news reports and blogging that are describing the potential weather pattern as “a Godzilla El Niño” is worrying water managers such as South San Joaquin Irrigation District General Manager Jeff Shields who fear people will ease up on water conservation. The National Weather Service’s Climate Predictions Center has 30 models that between them indicate there is a 90 percent chance of an El Nino this winter. The models are done by meteorologists at university and weather service stations around the globe. When taken together, the majority are projecting a wetter than typical winter. Shields cited records of five various Sierra stations that monitor snow and rain in the central Sierra that includes the Stanislaus River Basin that helps supply area farms as well as the cities of Manteca, Lathrop and Tracy. There is just better than a 50 percent chance it will deliver above normal precipitation. Shields has noted even if there is a normal year of rain and snow on the Stanislaus watershed or a bit above average it won’t return water supply conditions to normal. That’s because the safety net of reservoirs created for California has worked but after four years of severe drought it means the state may not be able to survive a fifth year of drought without even more draconian water cuts. And not very many are in worse shape than the state’s largest reservoir — New Melones. The Stanislaus River dam can hold back 2.4 million acre feet of water. As of Tuesday there were 322,387 acre feet in the reservoir as the region heads into nine weeks from mid-August to mid October that are typically the heaviest water use period. An even if it is a wetter winter than normal, Shields said it is too risky to start thinking California is out of the woods. “It isn’t unusual for California to have 40 to 50 year droughts with a wet year here and there breaking it up,” Shields said. Data researchers have gleaned from tree rings and other sources shows California was historically dry until about the 1500s to 1600s. It is then when a wet pattern started. As far as the Stanislaus River watershed is concerned, Shields can point to a disturbing trend now underway. Seven times between 1895 and 1975, the watershed produced less than 600,000 acre feet in a water year. But from 1976 to 2015 it has failed to do so 14 times. Shields is speaking tonight about water and what the future may hold at 7:30 p.m. during the Manteca Patriots’ meeting at Angelano’s restaurant at 1020 N. Main St. in Manteca. The public is invited. There is no charge. Shields will also take questions. See this article! The likely candidates for using recycled wastewater from the Manteca treatment plant are the municipal golf course, Big League Dreams, the proposed family entertainment zone, Sierra High and Brock Elliott School. That information is part of the presentation regarding progress on the reclaimed water facilities master plan the Manteca City Council will hear Tuesday when they meet at 4 p.m. at the Manteca Civic Center, 1001 W. Center St. The meeting is three hours earlier due to the National Night Out parties. The five locations are part of what the report refers to as “core local demands.” It would require just one pump and the least amount of pipeline to get up and running. A second alternative would include those previously listed plus cover all local demands that are feasible to serve. It would deliver irrigation water for landscaping to the envisioned 1,041-acre Austin Road Business Park, new residential development south of the 120 Bypass, Woodward Park, East Union High, Union Ranch, the CenterPoint Business Park and other schools and parks south of thee 120 Bypass and along the Airport Way corridor and between that corridor and East Union High/Neil Hefley School. A third alternative would be to send the water to the South San Joaquin Irrigation District system for use by farmers. Another would serve agriculture to the northeast of Manteca while the fifth would provide indirect delivery to the Delta-Mendota Canal via the Banta-Carbona Canal. There is also an alternative that would send the water directly to the Delta-Mendota Canal by running pipe along Airport Way to the south and crossing the San Joaquin River. The city could also use 300 acre feet of water at the wastewater treatment plant and wean itself off well water at that location. All of the alternatives would involve selling the water either to municipal users or those outside of the city. It is why the core project option may have the lowest construction costs but the largest project such as selling water through those that access it via the Delta-Mendota Canal would be the most efficient. That’s because there would be a year-round demand for water along that canal as opposed to in-city uses that are for landscape irrigation. The master plan is being developed by the RMC consulting firm. The state requires a plan to be in place before treated wastewater can be reused. See this article in full click here. Now here’s an another interesting article about Zero Waste posted today at the Western Journalism Center’s site. California issued its first cease-and-desist order on Thursday, July 16, 2015, telling an irrigation district to stop pumping water under this year’s tightened drought regulations. Some senior water rights holders are challenging California regulators authority to tell them to stop drawing water from rivers running dry due to the drought. FRESNO >> California water regulators flexed their muscles by ordering a group of farmers to stop pumping from a branch of the San Joaquin River amid an escalating battle over how much power the state has to protect waterways that are drying up in the drought. The State Water Resources Control Board issued the cease and desist order Thursday against an irrigation district in California’s agriculture-rich Central Valley that it said had failed to obey a previous warning to stop pumping. Hefty fines could follow. The action against the West Side Irrigation District in Tracy could be the first of many as farmers, cities and corporations dig in to protect water rights that were secured long before people began flooding the West and have remained all but immune from mandatory curtailments. “I’ve made investments as a farmer based on the rule of law,” said David Phippen, an almond grower in the South San Joaquin Irrigation District. “Now somebody’s changing the law that we depend on.” Phippen said his grandfather paid a premium price in the 1930s for hundreds of acres because it came with nearly ironclad senior water rights. Several irrigation districts have filed unresolved legal challenges to stop the curtailments demanded by the state. Among them is the West Side Irrigation District, which claimed a victory in a ruling last week by a Sacramento judge who said the state’s initial order to stop pumping amounted to an unconstitutional violation of due process rights by not allowing hearings on the cuts. Superior Court Judge Shelleyanne Chang also indicated, however, that the water board can advise water rights holders to curtail use and fine them if the agency determines use exceeded the limit. West Side is a small district with junior water rights, but the ruling also has implications for larger districts with senior rights. West Side’s attorney Steven Herum said the order issued Thursday was prompted after the judge sided with his client. “It is clear that the cease-and-desist order is retaliatory,” Herum said. Tauriainen said. Even if the state prevails in its push for curtailments, it would face manpower and equipment challenges trying to ensure that farmers in far-flung rural areas don’t illegally divert water. The state has just 23 inspectors who have performed 250 field visits since May, when the state started to send more than 9,000 letters informing farmers and large water users of low flowing rivers and streams, said Kathy Mrowka, the state’s water rights enforcement manager. Meanwhile, courts must sort out whether the state has the power to tell farmers what they can do with water claimed before the government got involved in 1914. Buzz Thompson, a water rights expert at Stanford Law School, expects California to prevail in the fight to pursue its unprecedented water cuts because courts have consistently expanded its authority. “It’s only when you get into a really serious drought that you finally face the question,” he said. California is an anomaly among Western states in the way it treats water rights. Thompson said other states use widespread meters and remote sensors to measure consumption or don’t provide special status to those with property next to natural waterways. “In any other state, this wouldn’t be a question,” he said. California rights holders are going to have to abide by more strict measurement requirements starting next year after fighting several attempts to overhaul the rules for decades, said Andy Sawyer, a longtime attorney at the water board. Farmers in Manteca, Ripon, and Escalon are racking up water savings surpassing the majority of California’s cities in an effort to conserve water. Water use by farmers in the South San Joaquin Irrigation District service territory is down more than 31 percent from 2013 consumption levels. As of Monday, farmers had used 77,581 acre feet so far this irrigation season compared to 112,510 acre feet at the same time in 2013. Gov. Jerry Brown called for an overall reduction of water use statewide by 25 percent to help the state weather the fourth year of severe drought. Cities have varying goals based on their 2013 per capital water consumption. The City of Manteca’s target is 32 percent over 2013 levels. Manteca water use was actually down 37 percent in June. The SSJID savings surpass every Southern California city. What makes the SSJID cutback rare, however, is the fact the water reduction is happening without leaving massive tracts of farmland fallow, ripping out orchards, or switching to a strategy to simply keep vines and trees alive instead of bringing a crop to market. While there are not 300 acres out of 54,000 acres that were intentionally fallowed this season so farmers could divert water on that land to other crops it isn’t that large nor is it an usual amount. “The resulting savings of more than 31% shows the concern agriculture has for the drought and the need to conserve water in the event there is yet another dry year in 2016,” SSJID General Manager Jeff Shields noted. The SSJID savings are the direct result of an aggressive water conservation program investment made by the district with more than $20 million using the proceeds from Tri-Dam Project power sales that the district also plan to harness to reduce power costs to the cities of Manteca, Ripon, an d Escalon by 15 percent once they obtain the distribution system from PG&E. The SSJID’s pressurized irrigation demonstration project covering 3,000 acres of Division 9 west of Ripon and south of Manteca allowing drip irrigation continues to produce huge conservation savings. The average orchard only requires 28 inches of water compared to an industry standard of 44 inches. At the same time the district is now able to divert several thousand acre feet of spill water into the Division 9 Basin which is put back into the pressurized system as opposed to being lost to the drains as was the case historically. Farmers are also enjoying a drop in power costs associated with pumping, increased yields, a reduction in chemical and fertilizer use, and reduced soil salinity. The district would like to convert the entire SSJID system to pressurized delivery but a state rule regarding “saved water” that the district would need to sell to finance such an expensive undertaking may ultimately torpedo efforts to do so. The savings reflect the multi-million dollar investments SSJID made in an aggressive three year On-Farm Conservation Program between 2012 and 2014. Many farms converted from flood to drip systems while others built recirculation basis on their farms to capture runoff for recirculation. Meanwhile groundwater within the SSJID territory dropped an average of 1.89 feet from spring 2014 to spring 2015. It is a sign that growers are not simply substituting surface water from groundwater but are in fact becoming much more efficient with their irrigation practices. Many wells in the Northern San Joaquin Valley are reporting drops in excess of 10 feet. There are also growers within the SSJID territory that do to take irrigation water and rely 100 percent on ground water for their crops. Shields said based on conservation efforts the district will be able to meet 100 percent of the reduced water delivery it promised for this year plus have a carryover into the 2016 water. Shields emphasized having water on hand for the start of the 2016 year is critical not only if the drought continues but even if a normal year happens to materialize on the Stanislaus River watershed. An average year produces 1.1 million acre feet of water on the Stanislaus watershed. Commitment for Stanislaus River water for cities, farmers, and fish needs is just over a million acre feet. See this article in full! Storage at New Melones Reservoir has dropped below 400,000 acre feet for the first time since 1991. The reservoir — the fourth largest in the state is now at less than 17 percent of capacity with expectations it will slip below 80,000 acre feet by Sept. 30. The 2.4 million acre foot capacity reservoir on the Stanislaus River is in the worst shape of all of the state’s major reservoirs that capture the lions; share of the Sierra snowpack melt. The water level would be even lower today if it hadn’t been for heavier than normal May snowfall that capped the end of a severely dry winter. Starting today, workers at the Glory Hole Marina — the last remaining business on the lake will; pull up anchor to move to deeper water. The dropping water has uncovered the old Parrots Ferry Bridge that was used as the staging area for protestors who helped several people chain themselves to rocks in a bid to prevent the Bureau of Reclamation form filling up the reservoir in the 1980s. You can now float under the old bridge. As the lake recedes and the natural river reclaims the lake bed, there is a possibility that what was considered “an incredible whitewater stretch” could be restored. It wouldn’t happen this winter and it would only occur if big storms first flushed silt buildup downstream. The lake is being prevented from completely disappearing thanks to releases from the Tri-Dam Project reservoirs at Donnells and Beardsley that feed captured runoff into New Melones for distribution to cities and farmers served y the South San Joaquin irrigation District and Oakdale Irrigation District. Water is still flowing in the Banta Carbona Irrigation District’s main lift canal. Although the district’s legal motion to halt the 100 percent cutoff of river water pumping was rejected in court Wednesday, water is still being delivered, as the legality of the State Water Board’s curtailment order as an enforceable demand remains in question. Banta-Carbona Irrigation District was still pumping water from the San Joaquin River Thursday morning as the BCID board of directors met in closed session. If any changes were made at the meeting in response to a demand by the State Water Resources Control Board to stop pumping, that information remained secret Thursday afternoon. Thursday morning’s board meeting was the latest in a se-ries of fast-moving developments after the Tracy area’s largest irrigation district was notified June 18 to stop all pumping of irrigation water from the river as a drought wa-ter-conservation measure. After a seven-day waiting period, the curtailment — first in history for districts such as BCID with senior pre-1914 water rights — was scheduled to begin Wednesday morn-ing after midnight. But because of what was considered conflicting infor-mation from the State Water Board and attorney general’s office during a Tuesday court hearing on a BCID lawsuit, the district decided to pump water until the language could be clarified. 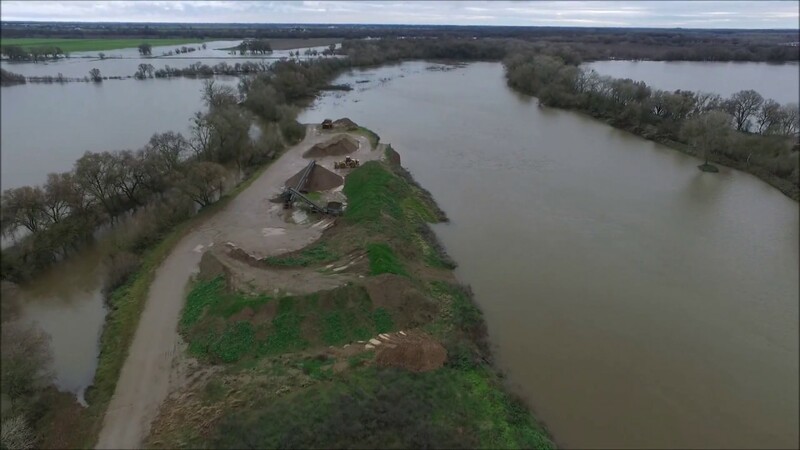 “We will keep pumping until our attorneys tell us not to,” BCID board president Jim McLeod said Wednesday after-noon, when he pointed out that river flows in the San Joaquin River were at adequate levels. Thursday, he said he wasn’t authorized to say anything more after the closed board meeting. In a statement issued Thursday morning, the State Water Board reiterated its position: that the curtailment demand to halt pumping from the river, while not officially an or-der, could still be enforced under present state law. Fines up to $1,000 per day and $2,500 per acre-foot of wa-ter are possible for unauthorized diversions of river water, the State Water Board has repeatedly warned districts. In the meantime, the Byron Bethany Irrigation District northwest of Tracy resumed pumping Thursday morning, following a 24-hour shutdown, after securing a water pur-chased from another district, according to Rick Gilmore, BBID general manager. Gilmore said BBID is continuing to provide water to Mountain House on an interim basis, awaiting final ap-proval of Mountain House’s purchase of water from Man-teca-based South San Joaquin Irrigation District. That wa-ter would be delivered by BBID. Both Banta-Carbona and Byron Bethany districts have hoped to secure water that has been stored by both districts in the San Luis Reservoir near Santa Nella. The water, which would be taken from the Delta-Mendota Canal, would provide the districts a cushion against any curtail-ments imposed by the State Water Board. But that possibility is still in limbo Thursday, reported Frances Mizuno, assistant executive director of the San Luis and Delta-Mendota Water Authority, which operates the canal for the U.S. Bureau of Reclamation. She said the State Water Board had not yet approved a plan to reduce flows from Shasta Dam in order to keep downstream water at the right temperature for salmon. If the reduced dam releases, along with diversions from water users in the Sacramento Valley and Delta, result in insufficient water available for pumping into the Delta-Mendota Canal, major problems could ensue. “We need flows in the canal of at least 300 cubic feet per second (cfs) in order to meet our obligations to water users still authorized to take water from the canal,” she said. Mizuno noted that the city of Tracy is among the author-ized Delta-Mendota Canal water users. In the summer of 2002, shortly before I was elected to Congress, I sat through an eye-opening meeting with representatives from the Natural Resources Defense Council and several local environmental activist groups. Hoping to convince me to support various water restrictions, they argued that San Joaquin Valley farmers should stop growing alfalfa and cotton in order to save water — though they allowed that the planting of high-value crops such as almonds could continue. Their goal was to remove 1.3 million acres of farmland from production. They showed me maps that laid out their whole plan: From Merced all the way down to Bakersfield, and on the entire west side of the Valley as well as part of the east side, productive agriculture would end and the land would return to some ideal state of nature. I was stunned by the vicious audacity of their goal — and I quickly learned how dedicated they were to realizing it. For decades, extreme environmentalists have pursued this goal in California with relentless determination. The method they have used to depopulate the targeted land — water deprivation — has been ruthless and effective. Much of the media and many politicians blame the San Joaquin Valley’s water shortage on drought, but that is merely an aggravating factor. From my experience representing California’s agricultural heartland, I know that our water crisis is not an unfortunate natural occurrence; it is the intended result of a long-term campaign waged by radical environmentalists who resorted to political pressure as well as profuse lawsuits. The Central Valley Project Improvement Act: Backed by the NRDC, Sierra Club and other extreme environmental groups, large Democratic majorities in Congress passed the CVPIA in 1992 after attaching it to a must-pass public lands bill. The act stipulated that 800,000 acre-feet of water — or 260 billion gallons — on the Valley’s west side had to be diverted annually to environmental causes, with an additional 400,000 acre-feet later being diverted annually to wildlife refuges. Smelt and salmon biological opinions: Lawsuits filed by the NRDC and similar organizations forced the U.S. Fish and Wildlife Service and the National Marine Fisheries Service to issue, respectively, biological opinions on smelt (in 2008) and on salmon (in 2009). These opinions virtually ended operation of the Jones and Banks pumping plants — the two major pumping stations that move San Joaquin River Delta water — and resulted in massive diversions of water for environmental purposes. The San Joaquin River Settlement: After nearly two decades of litigation related to a lawsuit filed in 1988 by the National Resources Defense Council, Sierra Club and other environmental groups, San Joaquin Valley agriculture organizations agreed to a settlement in 2006, later approved by a Democratic Congress and signed into law by President Obama. The settlement created the San Joaquin River Restoration Program. The program, which aims to create salmon runs along the San Joaquin River, required major new water diversions from Valley communities. Despite warnings from me and other California Republicans, agriculture groups naively approved the settlement based on false promises by the settlement’s supporters that Valley water supplies would eventually be restored at some future, unspecified date. Groundwater regulation: In September 2014, California Gov. Jerry Brown approved regulations requiring that water basins implement plans to achieve “groundwater sustainability” — essentially limiting how much water locals can use from underground storage supplies. But these pumping restrictions, slated to take effect over the next decade, will reduce access to what has become the final water source for many Valley communities, which have increasingly turned to groundwater pumping as their surface water supplies were drastically cut. “There’s not enough water in California”: Environmentalists often claim that the California water crisis stems from the state not having enough water to satisfy its rapidly growing population, especially during a drought. However, the state in fact has abundant water flowing into the Delta, which is the heart of California’s irrigation structure. Water that originates in the snowpack of the Sierra Nevada Mountains runs off into the Delta, which has two pumping stations that help distribute the water throughout the state. But on average, due to environmental regulations as well as a lack of water storage capacity (attributable, in large part, to activist groups’ opposition to new storage projects), 70% of the water that enters the Delta is simply flushed into the ocean. California’s water infrastructure was designed to withstand five years of drought, so the current crisis, which began about three years ago, should not be a crisis at all. During those three years, the state has flushed more than 2 million acre-feet of water — or 652 billion gallons — into the ocean due to the aforementioned biological opinions, which have prevented the irrigation infrastructure from operating at full capacity. “Farmers use 80% of California’s water”: Having deliberately reduced the California water supply through decades of litigation, the radicals now need a scapegoat for the resulting crisis. So they blame farmers (“big agriculture,” as they call them) for using 80% of the state’s water. This statistic, widely parroted by the media and some politicians, is a gross distortion. Of the water that is captured for use, farmers get 40%, cities get 10% and a full 50% goes to environmental purposes — that is, it gets flushed into the ocean. By arbitrarily excluding the huge environmental water diversion from their calculations — as if it is somehow irrelevant to the water crisis — environmentalists deceptively double the farmers’ usage from 40% to 80%. If at first you don’t succeed, do the exact same thing: Many of the Delta water cuts stem from the radicals’ litigation meant to protect salmon and smelt. Yet after decades of water reductions, the salmon population fluctuates wildly, while the smelt population has fallen to historic lows. The radicals’ solution, however, is always to dump even more water from the Delta into the ocean, even though this approach has failed time and again. The striped bass absurdity: If the radicals really want to protect salmon and the Delta smelt, it’s a bit of a mystery why they also champion protections for the striped bass, a non-native species that eats both salmon and smelt. Hetch Hetchy hypocrites: The San Francisco Bay Area provides a primary support base for many environmental groups. Lucky for them, their supporters don’t have to endure the kinds of hardships these organizations have foisted on San Joaquin Valley communities. While the radicals push for ever-harsher water restrictions in the Valley, their Bay Area supporters enjoy an unimpeded water supply piped in across the state from the Hetch Hetchy reservoir in Yosemite National Park. This water is diverted around the Delta, meaning it does not contribute to the Delta’s water quality standards. Environmental groups have conveniently decided not to subject Hetch Hetchy water to any sort of litigation that would cut the supply to the Bay Area. We’re from the government, and we’re here to help: Government agencies that catch smelt as part of scientific population measurements actually kill more of the fish than are destroyed in the supposedly killer water pumps. Hitchhiking salmon: The San Joaquin River Settlement is estimated already to have cost taxpayers $1.2 billion — and it’s clear to me that the total price tag will likely exceed $2 billion — in a disastrous effort to restore salmon runs to the San Joaquin River. Moreover, the settlement legislation defines success as reintroducing 500 salmon to the river, which means spending $4 million per fish. The salmon, which have not been in the river for more than half a century, have proved so incapable of sustaining themselves that agents have resorted to plucking them out of the water and trucking them wherever they are supposed to go. It is a badly kept secret among both environmentalists and federal officials that this project has already failed. A man-made state of nature: The radicals claim they want to reverse human depredations in the Delta and restore fish to their natural habitat. Yet the entire Delta system is not natural at all. It’s a man-made network of islands that functions only thanks to upstream water storage projects. In fact, without man-made storage projects, canals and dams, in dry years such as this the rivers would quickly run dry, meaning there would be no water and no fish. The radicals have pursued their plan methodically and successfully; between the CVPIA, the biological opinions, and the San Joaquin River Settlement, around a million acres of farmland have been idled. What’s left of the water supply is inadequate for sustaining Valley farming communities: South of the Delta, we now face an annual water supply deficit of approximately 2.5 million acre-feet, or 815 billion gallons. In fact, with the state groundwater regulations announced last year, the radicals are poised to achieve their goal. The depletion of groundwater is a direct effect — and indeed, was an intended result — of the radicals’ assault on our surface water. But the radicals have perversely cited the groundwater depletion they themselves engineered to justify regulating the groundwater supply. This is the final step in their program, since many farmers will not be able to keep growing food if they continue to receive zero water allocations and are restricted from tapping enough ground water. Return Delta pumping to normal operations at federal and state pumps. Because normal pumping levels are already paid for, this measure would cost taxpayers zero dollars. Fix the San Joaquin River Settlement. Instead of continuing to spend hundreds of millions of dollars on an unworkable scheme to recreate salmon runs, we should turn the San Joaquin River into a year-round flowing river with recirculated water. This approach would be good for the warm-water fish habitat and for recreation, and it would save taxpayers hundreds of millions of dollars that will otherwise go down the salmon-run rat hole. Expedite and approve construction of major new water projects. This should include building the Temperance Flat dam along the San Joaquin River, raising Shasta dam to increase its reservoir capacity, expanding the San Luis Reservoir and approving construction of the Sites Reservoir in the Sacramento Valley. Because water users themselves should rightfully pay for these projects, they would cost federal taxpayers zero dollars. These measures would not only end the water crisis, they would improve the environment for fish and wildlife — all while saving taxpayer dollars. That is indeed the grim future facing the Valley if we don’t change our present trajectory. The solution passed twice by the U.S. House, however, was blocked by Senate Democrats, who were supported by the administration of Gov. Brown as well as the Obama administration. These Democrats need to begin speaking frankly and honestly with San Joaquin Valley communities, and with Californians more broadly, about the effects of idling 1.3 million acres of farmland. This will ruin not only Valley farming operations, but will wipe out entire swathes of associated local businesses and industries. The damage is not limited to the Valley. Although residents of coastal areas such as Los Angeles, the Bay Area and San Diego have been led to believe they are being subject to water restrictions due to the drought, that’s not actually true. As in the Valley, these areas and many others ultimately depend on the Delta pumps for their water supply. If the pumps had been functioning normally for the past decade, none of these cities would be undergoing a water crisis today. And it’s a safe bet that Brown’s mandatory water reductions will not alleviate the crisis, leading to a drastic increase in restrictions in the not-too-distant future. Watering your lawn, washing your car and countless other everyday activities will be banned up and down California. In their mania to attack Central Valley farming, the radicals are inadvertently running the entire state out of water. Many organizations representing California agriculture, including water districts and — shockingly — even some San Joaquin Valley cities and counties, became part of the problem instead of the solution, having lent no support to the House-passed water bills. Suffering from a strange kind of Stockholm Syndrome, many of these groups and agencies hope that if they meekly accept their fate, their overlords will magnanimously bestow a few drops of water on them. Sadly, the end is near for communities whose land will be forced out of production. One hopes the affected families will eventually find a more welcome home in some other state where those who wield power appreciate folks who grow our food instead of demonize them. But for now, the pitiless, decades-long assault to deprive them of their livelihoods is hurtling toward its apex. Meanwhile, many of those capable of advancing a solution are content to wring their hands, blame global warming and continue whistling past the graveyard. Agriculture groups, water districts and municipalities that refuse to support the two House-passed bills owe their constituents an alternative solution that will resolve our water shortfall. Water bureaucrats who ignore or oppose the most prominent, viable solutions while offering no alternative are, in effect, complicit in the radicals’ long struggle. They should publicly declare which land ought to come out of production and which Valley industries should be eliminated since they have no proposals to steer us away from that outcome. The Valley’s critical situation today demands unity around constructive solutions. To paraphrase Benjamin Franklin, we must all hang together, or we will surely all hang separately. Nunes is chairman of the House Permanent Select Committee on Intelligence. He represents California’s 22nd congressional district. While California’s drought conditions are actually historically normal, California’s current drought is being billed by government and media as the driest period in the state’s recorded rainfall history. Scientists who study the Western United States’ long-term climate patterns say California has been dry for significantly longer periods — more than 200 years. However, it only takes reading the weekly California drought water-wise tips in statewide newspapers and local government websites to know the information the environmentalists are foisting on us is hogwash. While California is in the middle of an historic drought, radical environmentalists are not letting a good crisis go to waste. Interesting. I ran my 2-year old kitchen faucet full blast for one minute and got just slightly over a gallon of water. And, my husband and I rarely run the kitchen faucet full blast, even while washing dishes. Oh, the lies just keep piling on. It would take me about 30 minutes of running my 2-year old faucet to get 35 gallons of water down the drain. Pile these lies on to what is happening in the north state. So if California’s drought conditions are actually historically normal, and California’s current drought is being billed as the driest period in the state’s recorded rainfall history, why is the government is breaking up hydroelectric dams, and letting much-needed water rush to the sea for Coho salmon instead? The human cost of over-regulation is bleeding California businesses and middle-class families. In California, there is a perceived water war between the North and South parts of the state. The State of Jefferson is making headway with its secession over this and serious representation issues. But it’s a government-created problem; if the State of California didn’t allow billions of gallons of fresh water to spill into the Pacific Ocean every year, we wouldn’t have a water shortage. The water war is no longer between North and South; it is between radical environmentalists and the people. Most think that the Colorado River is the largest river, but the Sacramento River is about 60 percent larger. The problem is that, while officials store 70 million acre feet of water from the Colorado River, only 10 million acre feet of water is stored from the Sacramento River. The rest is lost into the Pacific Ocean. And now we are tearing down perfectly good hydroelectric dams at the behest of radical environmentalists. Environmentalists call these “fish-killing dams:” Iron Gate, Copco 1 and Copco 2 in California, and J.C. Boyle in Oregon. The U.S. Department of Interior has been actively planning to destroy these four dams on the Klamath River in Northern California, ostensibly so that salmon can swim another 185 miles up the river. The Klamath River flows from southern Oregon through the Cascade and Coast mountain ranges to the California Pacific Coast. These dams not only provide water and flood protection to thousands of family farmers and ranchers who live along the river, but clean energy from the hydroelectric dams supplies electricity to 70,000 residents in the area. The phony science being used to support the Klamath restoration project rests entirely on the Coho Salmon population, which environmentalists claim is endangered. However, many say that the Coho Salmon isn’t even indigenous to the area. According to Weather.com, more than 10 inches of rain hammered California last week. California’s population has increased dramatically while water storage has not. The population in California has doubled since 1977. And lousy planning in the hands of environmentalists and government has left the state in dire need during this drought. Demolishing dams would eliminate clean hydroelectric power on the Klamath River and replace it with costly natural gas-fired power plants that pollute the air and allegedly contribute to man-made global warming. You have to ask yourself what the real motive is.